South Korean President Moon Jae-in will meet with Donald Trump at the White House today in an attempt to find a way forward on North Korea following the failed Hanoi summit in February. Moon has staked his term in office on the resumption of warmer ties with Pyongyang. However, the collapse of the Hanoi summit has called into question the political capital he has spent on forging lasting relations with the North. 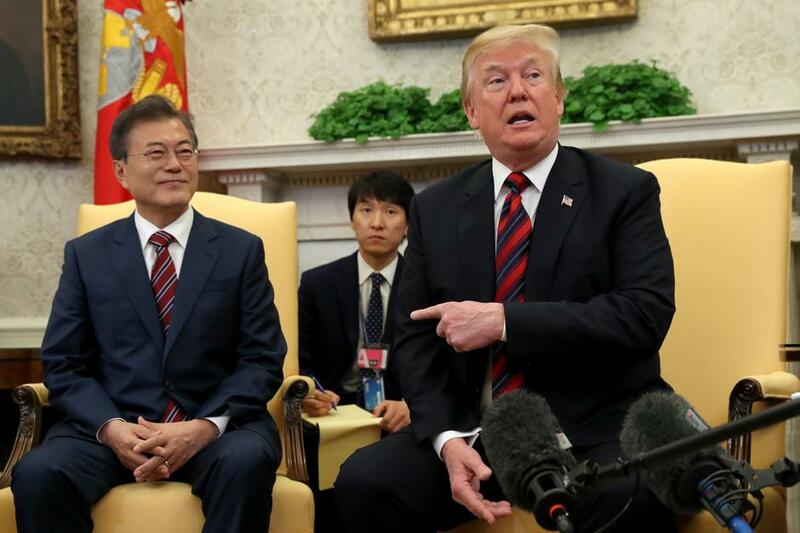 While Seoul is not questioning the ability of the US to reach an agreement with Pyongyang, Moon will likely press Trump to ease minor trade or financial sanctions to break the impasse over denuclearisation. The North’s demands for immediate sanctions relief are likely to continue into a third leaders summit, which is still expected in the coming months. As a result, minor sanctions relief and initial denuclearisation steps are likely to be the US position going into future talks with North Korea. Expect Moon to seek assurances from the US that such a position is expected to be used. Additionally, he is likely to seek clarification from Trump that the US is working to develop a plan for a phased and verifiable denuclearisation plan .